Schistosomiasis affects over 200 million people, yet it is a highly focal disease, with the likelihood of re-infection necessitating regular treatment of at-risk populations. Mapping methods that do not take into account the focal nature of it's distribution can lead to at-risk communities not being treated or over-treating communities that do not need it. This causes several issues, from wasted medicines and resources to treatment fatigue and non-compliance (where communities refuse to take donated medicines). The answer could be a refined, higher resolution, dynamic mapping system, i.e. Precision mapping! Schistosomiasis, also known as bilharzia, is a parasitic disease caused by worms. Infection usually occurs when individuals are exposed to infested water. Thus, high levels of schistosomiasis infections occur where there is a high interaction between people, worms and water. It can therefore be said that schistosomiasis is a focal disease. Once the larval form of schistosomiasis has entered the blood it matures into an adult schistosome. As is for most cases in parasitic diseases, it is the female form that delivers the killer blow. Once matured & paired with a male, female schistosomes release eggs, some of which are passed out of the body via excreta to continue the parasite’s lifecycle in a nearby water source, probably containing the intermediate host snail. Others become trapped in body tissues, causing an immune reaction and gradual organ damage. The symptoms, as well as chronic inflammation and compromised immunity that lead to secondary diseases associated with schistosomiasis, can be catastrophic and can have a devastating impact on the physical and economic health of an area. Schistosomiasis is a disease of poverty, Because of lack of clean water supply, people are often forced to use the same body of water for occupational, agricultural, domestic and recreational activities. School-aged children are particularly vulnerable to infection as the body of water presents a perfect play area. I mean, who wouldn’t want to go swimming and fishing on a hot day after school? Schistosomiasis is controlled in several different ways; via Water Sanitation and Hygiene (WASH) practices, snail control and last but by no means least, periodic large-scale population treatment with praziquantel which usually takes place over the course of several years. In 2016, 206.4 million people required preventative chemotherapy (PC). (Nothing to do with cancer, chemo meaning chemical. So, therapy with chemicals, I know it’s confusing). Mapping is a critical step in understanding where at-risk populations live in order to target them effectively. For schistosomiasis, the initial mapping is done by collecting stool and/or urine samples in a sub-sample of five schools per health district, 50 children per school are selected for parasitological surveys. The eligibility of the district for PC is then determined by the mean prevalence that allows the entire district to be classified as nonendemic (Tchuem Tchuenté et al., 2017). Using the mean has its limitations, this is because whenever an average is used to represent an uncertain quantity, the results become distorted because the impact of inevitable variations is ignored. (Savage, 2002). The nature of schistosomiasis’ focality and its dependence of various ecological and epidemiological factors means there exists significant difference in prevalence between subsettings and schools within the same health districts. ’The selection of only a few schools to decide for the entire district’s endemicity leads to some uncertainties and errors if the site selection and sampling are not properly undertaken’ (Tchuenté et al., 2018). This leads to ambiguity surrounding which districts qualify for preventative chemotherapy (PC) with praziquantel, hindering successful and efficient reporting and coverage of populations. So, that’s the problem, how about the solution? Well, mathematically speaking, using a distribution- a range of relevant values, rather than a single value is much more useful as it enables resource managers to capture a higher resolution snapshot of an area and provide a more targeted and efficient prophylaxis program. Enter precision mapping! There is a need for more precise appraisals of schistosomiasis prevalence that current mapping lacks. Addressing this problem using precision mapping will enable a better resources management, definition of target population and thus coverage. Ultimately, precision mapping goes a long way in allowing the schistosomiasis community to overcome this major obstacle on the road towards elimination. Acknowledging variation in schistosomiasis distribution across space is critical. 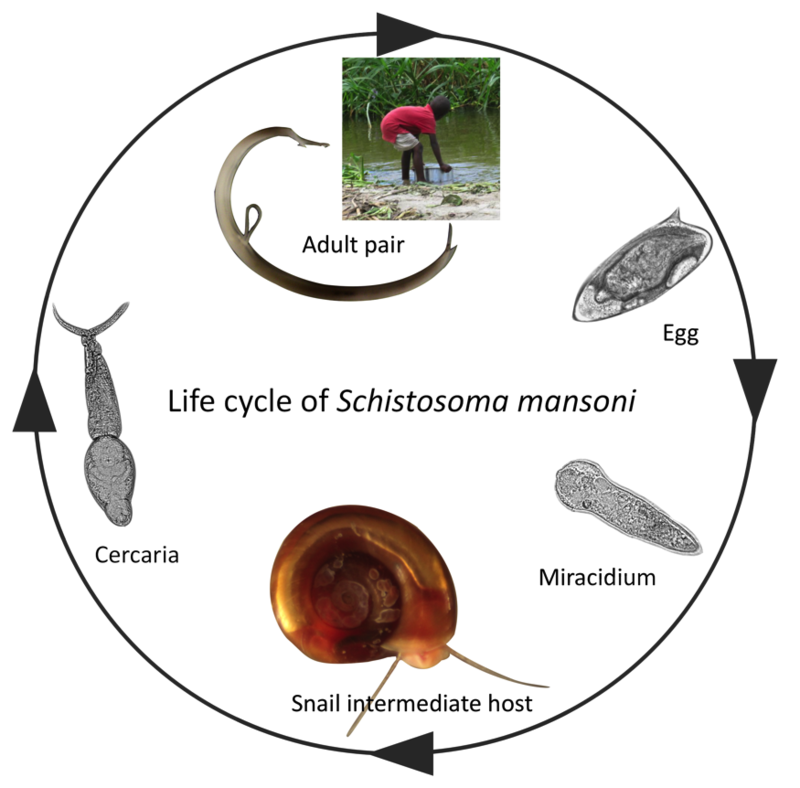 However, there is an opportunity to further resource management efficacy in schistosomiasis’ variance across time. Transmission occurs around bodies of water however, due to seasonality i.e. rainy and dry seasons, the size of these fluctuate across time. Natural events such as flooding can increase individual’s contact with infested water which can lead to variation in prevalence across time. It would therefore be useful to explore more dynamic mapping systems which could perhaps enhance transmission interruption and drug distribution. This post is ammended from the Global Schistosomiasis Alliance blog. Perpetua is studying for her BSc in Human Sciences at University College London and has a keen interest in health, biomedical research and the development sector. She is also interested in the creative arts and science communication; she is currently working as a Youth Contributor at the National Portrait Gallery and has worked as a Content Consultant for Imperial College Healthcare NHS Trust. Perpetua recently completed a summer internship at the Global Schistosomiasis Alliance and has previously volunteered for the Schistosomiasis Control Initiative.